Fibromyalgia is a common disorder characterized by chronic full-body pain and tender spots in the soft tissue of the body. Often fibromyalgia accompanies autoimmune disorders such as lupus, chronic fatigue syndrome, and arthritis. Fibromyalgia symptoms include extreme anxiety, insomnia, headaches, and numbness in hands and feet. The best treatment for fibromyalgia is an integrated approach. Along with diet improvements and rehabilitative stretching exercises, gentle chiropractic adjustments and massage therapy may reduce the severity of your symptoms. 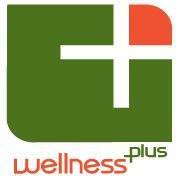 Here at WellnessPlus, we always start our treatment plan with chiropractic! To learn more about Wellness Plus' chiropractic treatment, massage therapy, rehabilitative exercises, & EMS/heat/ice treatments to ease your symptom(s), please click here.